The freshwater eel is an aboriginal spiritual totem. This is the story of the mother eels as told by Uncle Joe Kirk. It follows the journey of the mother eels as they travel out of their waterholes to the river and out to sea to lay their eggs. 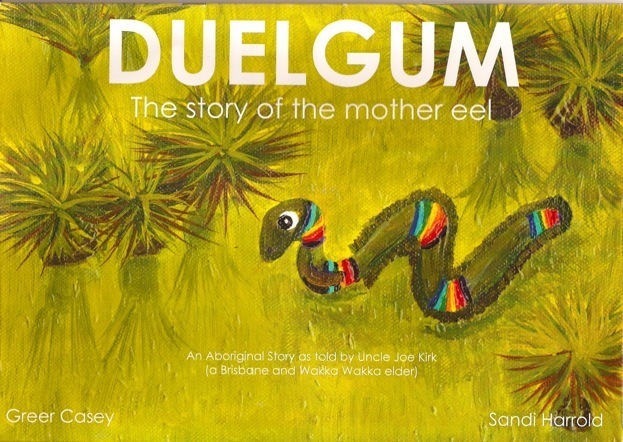 Freshwater eels have a special significance in Aboriginal culture as they represent 'going back to their traditional waterhole where they belong'. Uncle Joe as a young boy watched the mother eels going down the river and he saw the young eels returning.